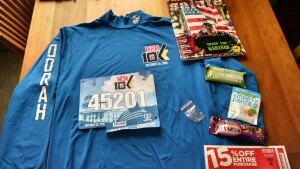 OK, we’ve all heard it: You should never EVER wear your race shirt to run the race. OK, we’ve seen it: People toeing the line at a race wearing the race shirt they received for that race. Who is right? Who is wrong? Both? Neither? Con. If everyone wears the same shirt, you will never be able to pick your running buddies out in the crowd. You may not realize it yet, but if you run enough races, there is nothing better than randomly finding your running buddies mid-race and getting to run with them. The same goes for your family and friends being able to find you in the crowd to cheer you on. Pro. Many race directors are putting greater effort into the designs of race shirts, many of which are race quality, so why not run them? Con. No! Why would you do that? No, no way, no how. You just don’t do it. At least not at the race itself. Pro. 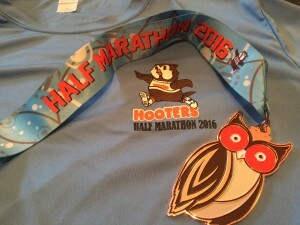 Many 5k walks and fun runs encourage participants to wear the event shirt (plus it looks cool when everyone does), so why not? Con. Short sleeve/long sleeve, just because the event picks a shirt type/length for the race premium does not mean that it is suitable for the race day weather conditions. 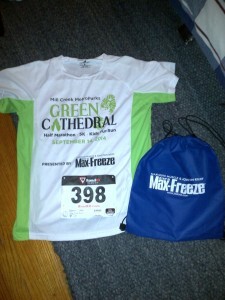 You are better off planning your race outfit in advance regardless of what premium you will receive at the expo. Pro. If I’m not wearing a costume for a race, why should I settle for a mono-chromatic tech training shirt when I can wear a cool event shirt? Con. If you should never wear anything new on race day, why would you wear a shirt that you just received the day before at the race expo? Plus you haven’t washed it yet. Pro. Who cares, I’ll trust that its clean, plus I am just going to sweat in it anyway. Con. Not all tech fabrics are created equal. 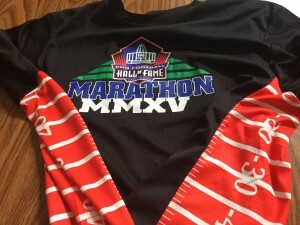 The last thing you want to do is bank on wearing the race shirt only to find out that it is of a terrible quality (and yes, it does happen, more than you may think). So its better to have a shirt (and a backup shirt in case of warmer or colder weather than you expected) that you know works for you. Pro. Wearing the event shirt makes for cooler race pictures. Mic Dropped. Alright, I see we are not going to come to an agreement on this one. So how about we agree to disagree and let everyone be happy running the race in whatever they want? 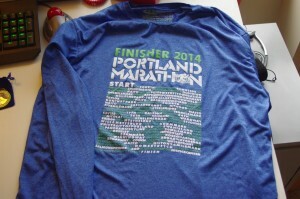 In the interests of full disclosure, I am in the camp of Casual Runners who do not wear event shirts to run the races. In fact, the only exception to this was when I ran the 2015 runDisney Dopey Challenge, as the morning of Pluto’s 5k was soooooo very cold that I needed to wear the event T-shirt to add an extra layer (even though it was, cotton! For shame! A cotton race shirt? Come on runDisney!). 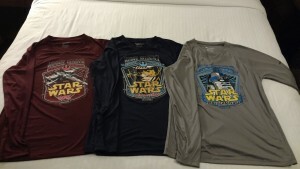 I guess, that, for me, the reason I come down in the “don’t wear the event shirt” camp is superstition: just like hockey players don’t touch the Stanley Cup for fearing of jinxing themselves, I won’t wear the race shirt until I actually finish the race. I mean, why would I ever want to tempt fate? But hey, this is what works for me. You have to decide what works for you.